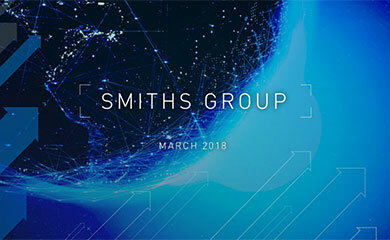 Smiths Group plc (Smiths or the Company) announces that it has agreed to sell Smiths Aerospace division (Aerospace) to General Electric Company (GE) for a total cash consideration of US$4.8 billion (the Sale). Following the Sale, the board of directors of Smiths (the Board) proposes to return 2.1 billion to shareholders. The disposal price for Aerospace of US$4.8 billion recognises the high quality of the business together with Smiths substantial investment in aerospace technology over the past several years. The Sale accelerates the delivery of returns to shareholders. Smiths continuing businesses serve strong and growing markets. The Board believes that the continuing Smiths Group has enhanced financial characteristics and is well positioned to generate substantial returns. A separate announcement is being made today in relation to the further development of Smiths Detection. Following completion of the Sale, Smiths is expected to generate improved returns on capital and enhanced margins. The net effect of the Sale and the intended return of capital to shareholders would have been accretive to Smiths headline earnings per share for pro forma 2006. The Board has assessed the capital structure of the Company. Following the intended return of capital to shareholders, Smiths is expected to have debt ratings of Baa2 and BBB+. The Board is satisfied that the Company has flexibility to execute its strategy whilst maintaining a solid investment grade rating. The Board also believes that the enhanced financial characteristics of the Company will enable a progressive dividend policy, targeting dividend cover of 1.8 times. The Board proposes, subject to completion of the Sale and shareholder approval, to return 2.1 billion - out of the net proceeds estimated to be 2.25 billion - by means of a B share scheme, combined with a share consolidation, shortly after the completion of the Sale. The Sale is conditional, amongst other things, upon obtaining merger and anti-trust clearances, including in the United States and from the European Commission, and the approval of Smiths shareholders at an extraordinary general meeting (the Extraordinary General Meeting). The Sale is targeted for completion during the second quarter of 2007. Our objective is to create superior shareholder value. We focus our investment where we can take leading positions in growth markets. This has certainly been true in Aerospace. Over the past five years, we have invested heavily in aerospace technology. This investment, together with the successful efforts of our dedicated employees, has won us positions on every major military and commercial programme. This is a great achievement by the Aerospace team. The structure of the aerospace industry is changing in particular its increased capital requirements and the growing importance of supplier scale, especially as the next generation of large programmes kicks in. The Board has considered these issues and the opportunities for Smiths going forward and last autumn instigated a thorough process which has led to todays announcement. By selling Aerospace, we crystallise the value for our shareholders. At the same time, we know that this business is going to a great owner. Looking forward, Smiths continuing businesses serve markets with attractive growth prospects, enabling delivery of enhanced returns and strong cash conversion. This summary should be read in conjunction with the full text of the following announcement. For media, a joint press conference will be hosted today at 11:30am (UK time) at the Savoy Hotel, Strand, London WC2R 0EU. For bondholders, a conference call will be hosted by John Langston, Smiths Group Finance Director, today at 1:00pm (UK time). Dial-in: +44 (0) 1452 587356. A circular (the Circular) containing further details of the Sale and setting out the notice of the Extraordinary General Meeting will be sent to Smiths shareholders. Evercore Partners Limited ("Evercore Partners"), which is authorised and regulated in the United Kingdom by the Financial Services Authority, is acting for Smiths and no one else in connection with the matters referred to in this announcement and will not be responsible to any person other than Smiths for providing the protections afforded to clients of Evercore Partners, or for providing advice in relation to these matters. Credit Suisse Securities (Europe) Limited ("Credit Suisse"), which is authorised and regulated in the United Kingdom by the Financial Services Authority, is acting for Smiths and no one else in connection with the matters referred to in this announcement and will not be responsible to any person other than Smiths for providing the protections afforded to clients of Credit Suisse, or for providing advice in relation to these matters. JPMorgan Cazenove Limited ("JPMorgan Cazenove"), which is authorised and regulated in the United Kingdom by the Financial Services Authority, is acting for Smiths and no one else in connection with the matters referred to in this announcement and will not be responsible to any person other than Smiths for providing the protections afforded to clients of JPMorgan Cazenove, or for providing advice in relation to these matters. 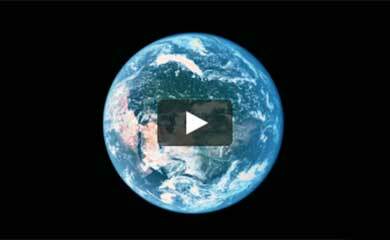 Aerospace comprises two principal business units Aerospace Systems and Aerospace Components. Aerospace Systems designs, manufactures and provides in-service support for digital, electrical power and mechanical systems for both the military and commercial markets. Aerospace Components supplies high-value components to the principal aircraft engine manufacturers. In addition, Times Microwave Systems Inc. (TMS), reported within Specialty Engineering, is included as part of the Sale. TMS products include components for military and commercial aerospace, shipboard and wireless applications. Aerospace, headquartered in London, has approximately 11,500 employees and operates manufacturing facilities in five countries. Aerospace has developed organically and through the acquisition of Lear Siegler in 1987 and the merger with TI Group in 2001. Smiths has invested significantly over the past five years to position Aerospace as a Tier 1 systems supplier and integrator. Aerospace Systems products and services include: common core computing systems, data monitoring and recording systems, flight management systems, mission and stores management systems, navigation products, cockpit displays, fuel systems, power distribution and management, generators, power conversion, landing gear systems, high lift systems, military mission systems, general actuation, structures and propellers. Aerospace Components supplies rings, combustors, injectors, shafts, outer casings, liners, mixers and other components for jet engines using specialised manufacturing technologies including flash welding, cold rolling, chemical milling, broaching and other complex processes. 156 million on a turnover of 1.3 billion. Total Aerospace net assets before intercompany funding and gross assets were 808 million and 1,254 million respectively as at 5 August 2006. US$4.8 billion recognises the high quality of the business together with Smiths substantial investment in aerospace technology. The sale accelerates the delivery of value to shareholders. Smiths continuing businesses serve strong and growing markets. The Board believes that the continuing Smiths Group has enhanced financial characteristics and is well positioned to generate substantial returns. Keith Butler-Wheelhouse has agreed to defer his retirement by four months, to 31 July 2008, in order to continue to lead Smiths Group as Chief Executive throughout the coming financial year. A Circular setting out the notice of the extraordinary general meeting (the Extraordinary General Meeting), including the recommendation of the Board to vote in favour of the Sale, will be sent to Smiths shareholders as soon as practicable. The Sale is conditional, amongst other things, upon obtaining merger and anti-trust clearances, including in the United States and from the European Commission, and the approval of Smiths shareholders at an Extraordinary General Meeting The Sale is targeted for completion during the second quarter of 2007. The Board believes that the Sale, as well as Smiths continuing cash-flow profile, enables the disposal of Aerospace to be accompanied by a return of capital to shareholders. The Board proposes to return 2.1 billion - out of the net proceeds estimated to be 2.25 billion - following completion of the Sale by means of a B share scheme, combined with a share consolidation, shortly after the completion of the Sale. The capital return will be subject to shareholders approval at a separate extraordinary general meeting (the Extraordinary General Meeting for the Return of Capital). The proposed return of capital is equivalent to approximately 37 percent of the market capitalisation of Smiths as at 12 January 2007 and the effect of the share consolidation would be to reduce the number of ordinary shares in issue by the appropriate percentage, by reference to the market capitalisation immediately following completion. The net effect of the Sale and the intended return of capital to shareholders would have been accretive to Smiths headline earnings per share for pro forma 2006 and similarly would have reduced year end net debt to approximately 800 million. The tax impact of the Sale on the continuing Smiths is expected to be minimal. A circular will be sent to shareholders shortly after completion of the Sale, convening the Extraordinary General Meeting for the Return of Capital to approve the share consolidation accompanying the proposed B Share scheme. 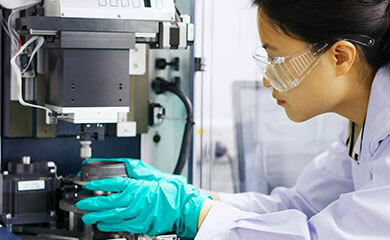 Following the Sale, Smiths three divisions, Detection, Medical and Specialty serve markets with attractive growth prospects, offering good prospects for enhanced returns. The Board has assessed the capital structure of the Company. Following the intended return of capital to shareholders, Smiths is expected to have debt ratings of Baa2 and BBB+. The Board is satisfied that the Company has flexibility to execute its strategy whilst maintaining a solid investment grade rating. The Board also believes that the enhanced financial characteristics of the Company will enable a progressive dividend policy targeting dividend cover of 1.8 times. GE Aviation is one of the world's leading producers of large and small jet engines for commercial and military aircraft. GE Aviation also supply aircraft-derived engines for marine applications and provide aviation services.